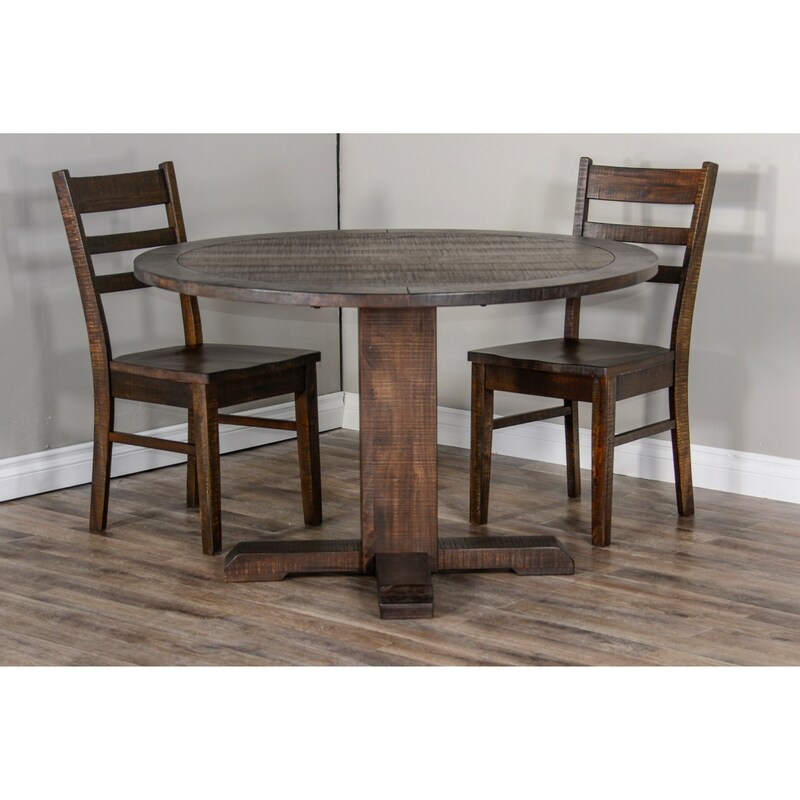 Design elements such as rough sawn distressing and a planked top bring out the rustic style of this dining table set. Perfect for a breakfast nook or small scale home, this table is ready to serve up many memorable meals over the years. The ladderback chairs complete this set with an extra touch of farmhouse style. The Homestead 2 Table and Chair Set for Two by VFM Signature at Virginia Furniture Market in the Rocky Mount, Roanoke, Lynchburg, Christiansburg, Blacksburg, Virginia area. Product availability may vary. Contact us for the most current availability on this product. The Homestead 2 collection is a great option if you are looking for Rustic furniture in the Rocky Mount, Roanoke, Lynchburg, Christiansburg, Blacksburg, Virginia area. Browse other items in the Homestead 2 collection from Virginia Furniture Market in the Rocky Mount, Roanoke, Lynchburg, Christiansburg, Blacksburg, Virginia area.